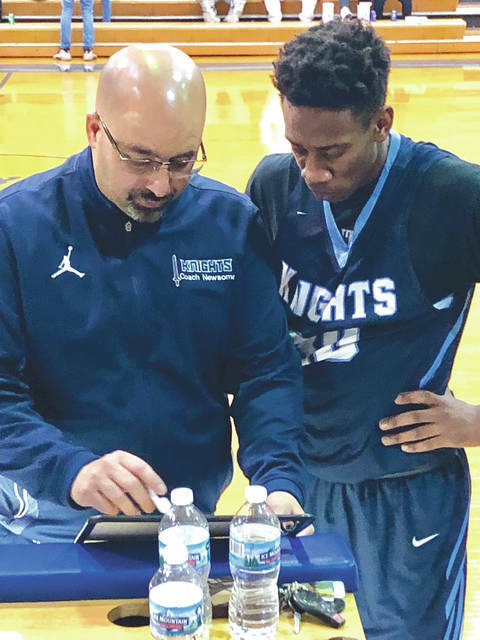 https://www.xeniagazette.com/wp-content/uploads/sites/32/2019/04/web1_NewsomeHammerstrom_PS.jpgBrad Newsome (left) goes over a play with Legacy Christian basketball player Keano Hammerstrom during the 2019 season. Newsome, who was named Metro Buckeye Conference Coach of the Year, was fired as the team’s coach on April 9. Submitted photo.